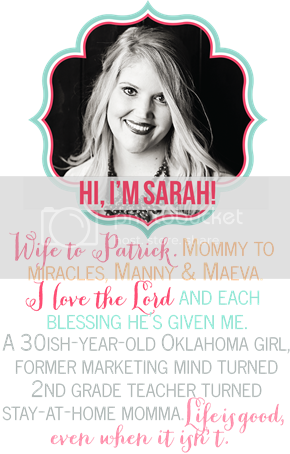 Remember when I said I needed to catch up on blogging? This would fall under that category. A little over a month ago, we spent a fun weekend up with my family. My niece Gabi was in homecoming, and my nephew Jax had his 3rd birthday party! 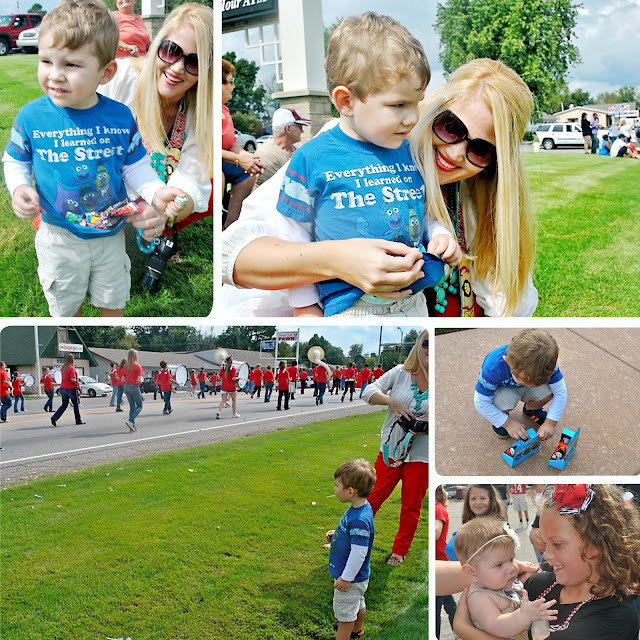 We started off Friday afternoon by going to my sister Becky's bank and watching the homecoming parade from there. It was so fun...even made me miss high school a little! Manny was in shock and couldn't figure out why everyone was throwing candy at him. He seriously loaded up on candy. We tried to show him how to use his shirt to hold it all in but he thought we were crazy. My mom also fed his Thomas obsession and surprised him with a Thomas and James train...he was giddy. 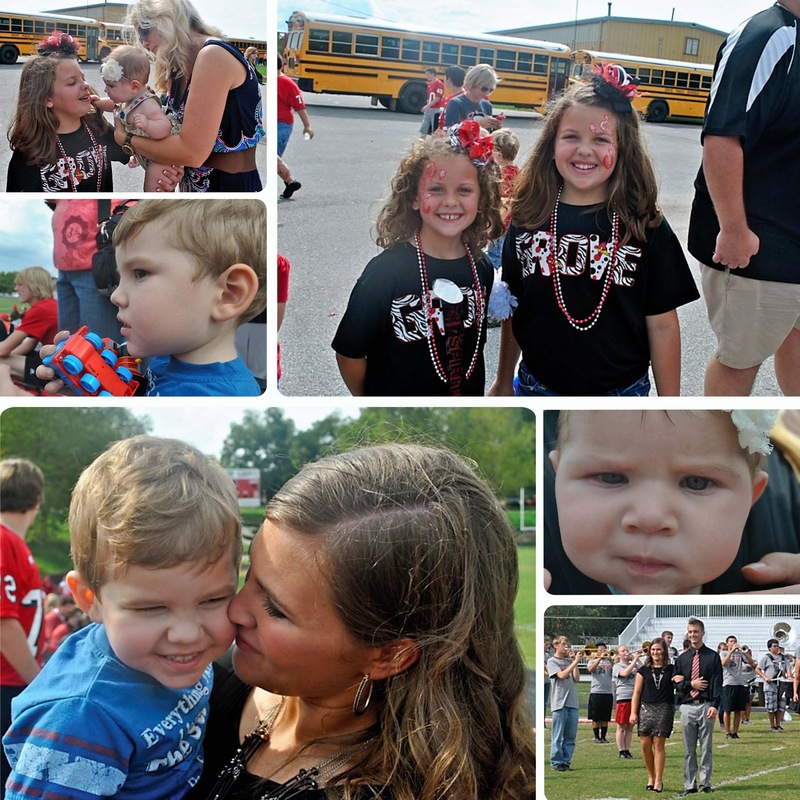 The parade ended at the football field with a pep rally, and Manny loved it! He kept clapping...it was so cute. We also got to see my nieces Lani & Laci, my sister-in-law Tonya, and my nephew Zack, who were all in the parade too. It was the perfect day for a parade! 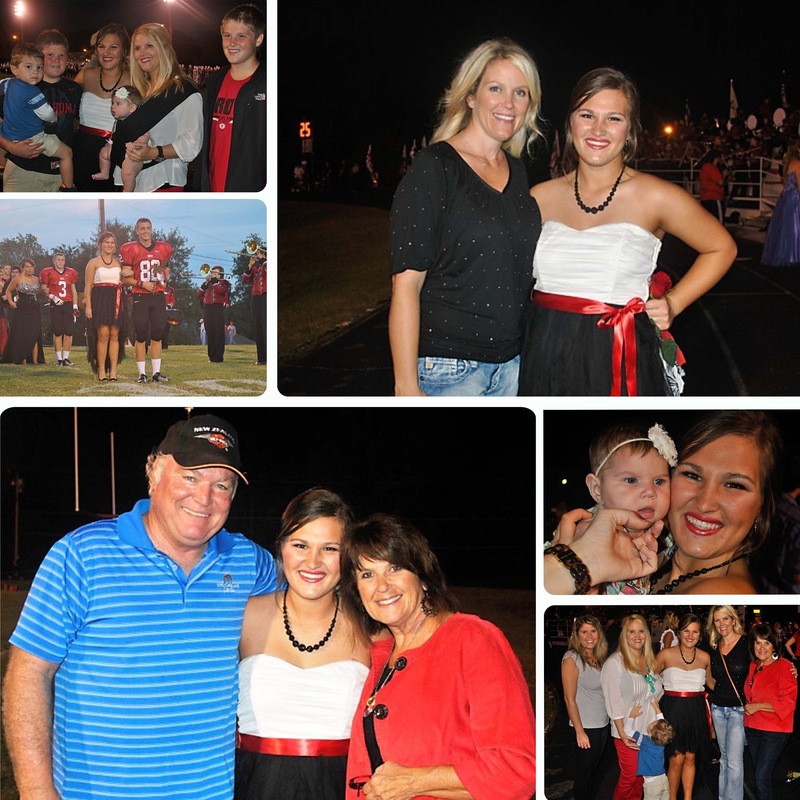 That night was homecoming, and Gabi looked so beautiful! I still can't get over how grown up she is. When I posted about her coming to the pumpkin patch with us, a few people asked if she was my little sister. She's actually my niece. She is my sister Becky's daughter, and was my very first niece! It's crazy to see kids grow up like that...makes me feel old. But proud too. Gabi you are so special to us! 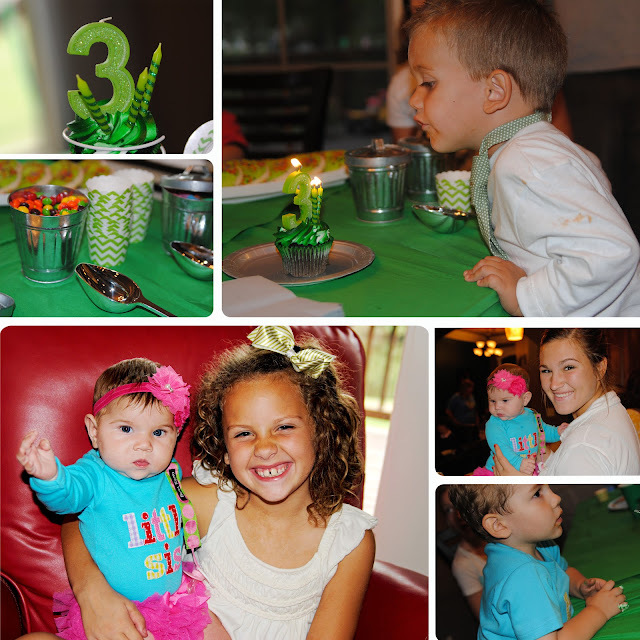 On Saturday we went to celebrate my nephew Jax's 3rd birthday! 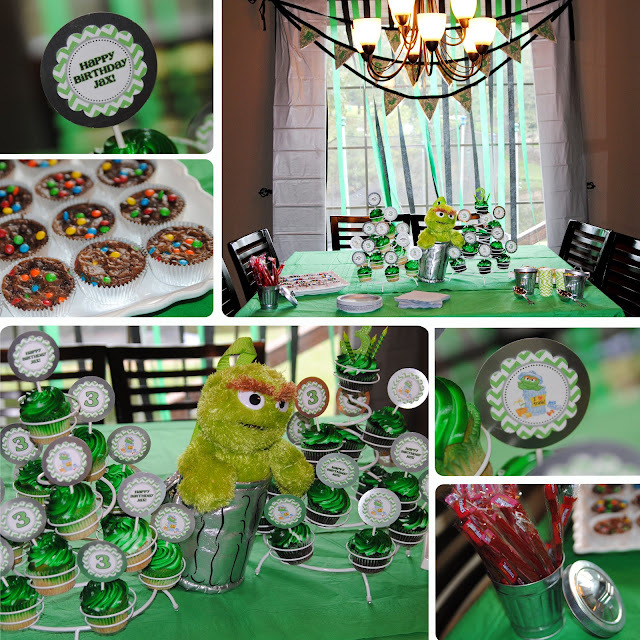 He LOVES Oscar the Grouch so my sister-in-law threw the cutest Oscar themed party for him. She even had little trash cans for the favors to go in! Laci spent lots of time loving on Maeva as usual, as did Gabi. Jax was such a good birthday boy! 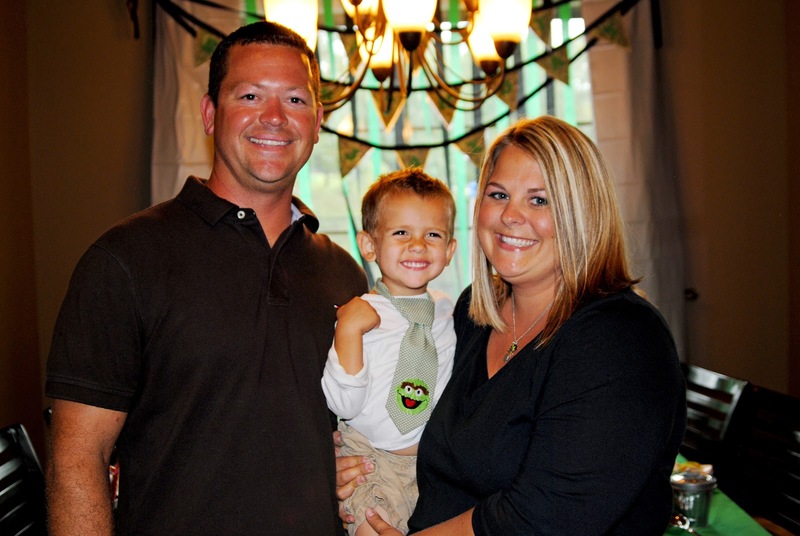 He was all smiles and was adorable in his little Oscar tie. 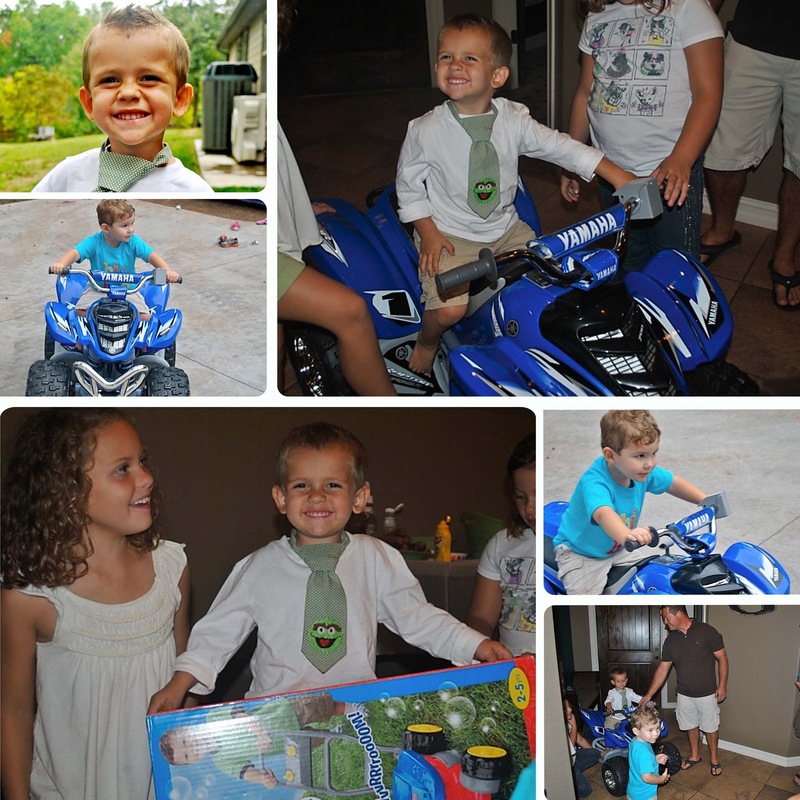 Jax got some awesome toys for his birthday, including a new 4 wheeler! Manny had never ridden a motorized toy before and was blown away that such a thing existed. We're in trouble now. 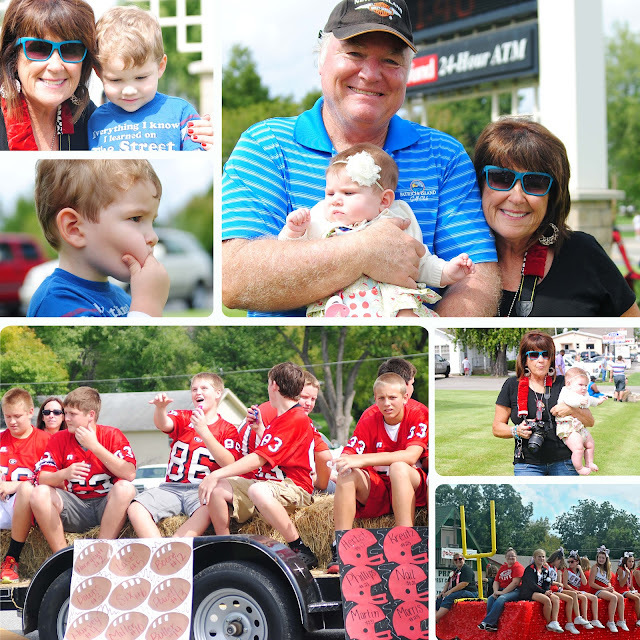 Another fun weekend with family, and now I can say it officially happened since I blogged it. Ha! Kidding, of course...but I am glad to be working through my list. I need to get my blog book printed soon so I'm on a mission to get caught up! I LOVE your camera strap! Where did you find that? It looks like you had an amazing weekend! Your niece's dress is beautiful. And I love the Oscar the Grouch themed party! that oscar party is soooo cute!!! My roommate my freshman year was from Grove!! 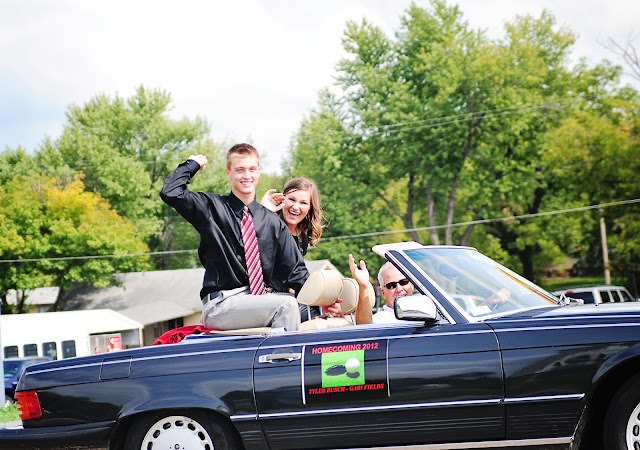 Gabi looked beautiful! How did I never know you had a brother?! Jax is a little cutie! Cooper got a (small) Cars ATV for Christmas last year. He LOVES it, and it's small enough that he just rides it around the house, haha. 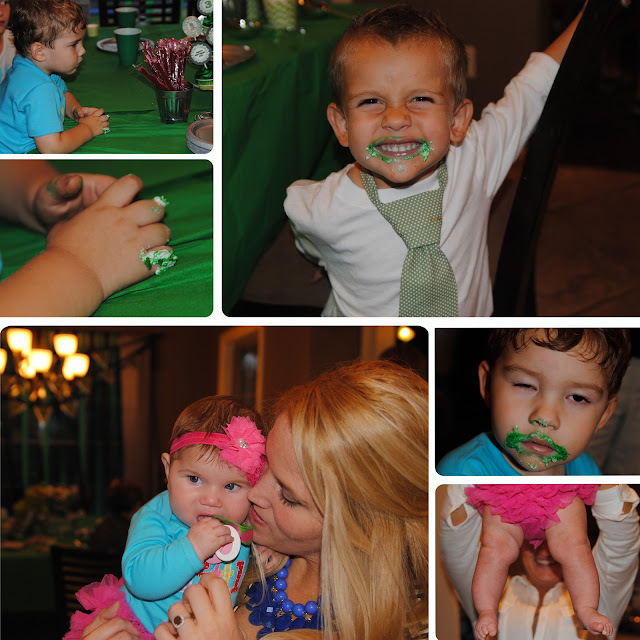 Oh my goodness the oscar the grouch party was SO cute!